On March 15th, news broke of shootings at two mosques in Christchurch, New Zealand. We join with people world-wide in expressing our horror and grief. Individually and collectively, we pray for all those that have been impacted by this event. All three of our denominations have responded. 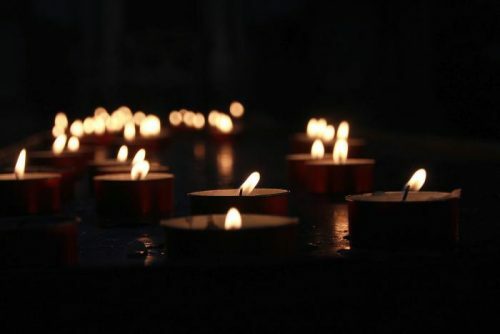 The United Church of Canada strongly condemns the horrific attacks by a suspected White nationalist on two mosques in Christchurch, New Zealand on March 15, 2019. At least 49 people were killed and another 48 injured in this act of terrorism while Muslim worshippers were at Friday prayers. The people of the United Church are deeply saddened and many are weeping alongside the families and friends of the people who were killed and injured. In his letter to the Romans, the apostle Paul writes: “rejoice with those who rejoice, weep with those who weep. Live in harmony with one another” (Romans 12:15–16a). People in the United Church are joining with people around the world in mourning the lives of the innocent victims lost in this abhorrent attack. The United Church recognizes Islam as a religion of peace, mercy, justice, and compassion and has affirmed that the church wants to journey towards reconciliation, understanding, and cooperation with our Muslim neighbours. The church is deeply committed to working with Muslims and others for peace and justice for all humanity and to seeking ways to build right relationships among us. God… help us to do so. Our hearts are aching for Muslims across our country and around the world in the wake of the massacre of so many faithful Muslims in the midst of their Friday prayers in Christchurch, Aotearoa-New Zealand. We hold in our prayers today, and in the coming days, those who were killed and their grieving loved ones. We also remember and pray for all those who were seriously injured, those who tend them, and those who responded to this crisis on the ground. We pray too for the Muslim community in Quebec City, knowing that this tragedy will revive the horrors of the attack at the Grand Mosque in January 2017, and the murder of six worshippers who had just concluded evening prayers. A prayer from our National Bishop as we receive with shock the news of the attacks that occurred at two mosques in Christchurch, New Zealand. We mourn the two mass shootings at mosques in Christchurch. We pray for the victims, the injured, their families, and all who are now afraid of further violence. Strengthen us to stand with our Muslim neighbours against all forms of Islamophobia and to work to end gun violence. I am inviting every community in our Church to embrace our Muslim sisters and brothers; to stand with our Muslim neighbours against all forms of Islamophobia; and to consider how we might reach out to one another in our communities, in gestures of support and human solidarity. In times of shock, horror, and difficulty, people of faith look to the God of mercy for comfort, strength and hope. It is God’s steadfast presence and love that leads toward healing and restoration of spirit that helps us to choose the ways of peace. The nurturing of interfaith relationships and respect for persons of other faith communities is of the utmost importance as we seek to worship and follow the God who always remembers and cherishes each of God’s children. ~ Read the entire letter or access it on the ELCIC website. In the absence of our President, the Reverend Jay Olson, who is out of the country, I write to you, on behalf of Christ’s people in the Pacific Mountain Region of the United Church of Canada, with a broken heart. We share a common practice; to gather in community, on the Sabbath, to give to the God who animates all life, our devotion, our praise, our commitment, our lives. And in the doing, we each pray for healing in God’s world, that all may live in peace and justice. Today, we watched in horror as your brothers and sisters in faith, in Christchurch New Zealand, gathering for Sabbath worship were assaulted by violent gunfire, killing 49 faithful followers, injuring 20 more. With sighs too deep for words, our hearts ache with you. When fear and anger visit the earth with such a rampage, the whole world suffers. Faithful people of all traditions will assert this is not God’s way. This is not God’s intention. This is not consistent with our common call – to love God, and to love and serve our neighbour. While you mourn, we mourn. While you pray for healing, we will pray for healing. While you seek justice and God’s grace, we will seek justice and God’s grace. May our loving action bring us closer to a lasting compassion and peace. We offer our deepest condolences.